Well boundaried. Well focused. Well challenged. Well loved. Within days, I was presented with the opportunity to volunteer for mental health charity Time to Change at Newcastle’s Mental Health Day. It was one of the scariest things I’d done in ages, but I stepped into the arena—and never looked back! You can read about my experiences here. 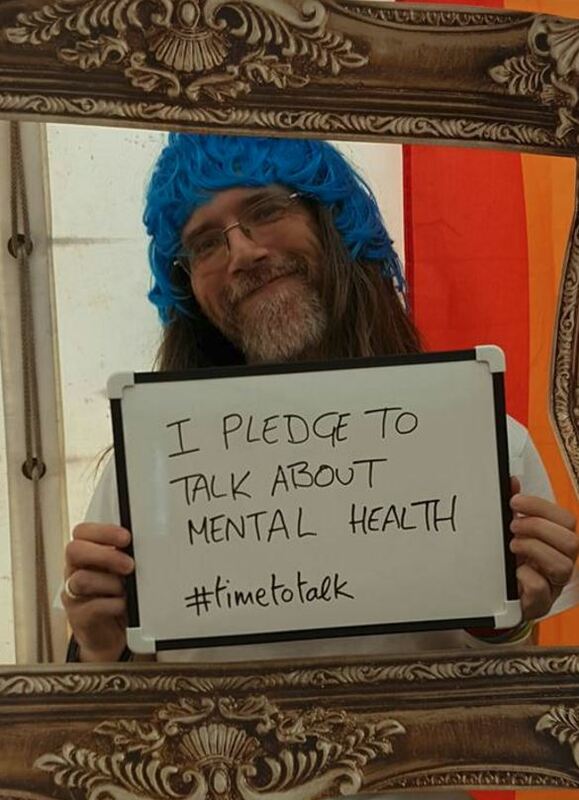 I also volunteered with Time to Change at Newcastle’s Pride event in July, and was privileged to attend their Festive Networking event in December. A chance encounter in my favourite coffee shop, Caffè Nero in Saint Mary’s Place, led me to the Newcastle Literary Salon. I wrote about the meeting in an open letter to Fran. I got talking here at the cafe earlier with a guy who told me about a local writers’ group—Newcastle Literary Salon—which meets once a month. I looked them up and the next two meetings are on mental and physical illness. I will go along, and see if I can get a slot to read from our book. It’s scary to put myself out there in person, but that is part of what I’ve learned: to dare, to challenge myself—whether it’s doing a zip-wire slide from the Tyne Bridge to raise funds for Crisis, addressing the Mental Health First Aid team at Virgin Money, volunteering at the Time to Change Mental Health Day event, or appearing live on radio! I would never have done any of this if it were not for our friendship. Connection and challenge have become my watchwords. The first Salon event I attended left a lasting impression on me, which I wrote about for the hastywords #BeReal blog series. Courage and vulnerability were out in force last night at the Salon. I heard—really heard—people sharing words from the heart, from the guts of their personal experience. I connected with people I’d never met before, who knew nothing about me and about whom I knew nothing. I had fun. I felt my heart open. I made a new friend. I dared to be real amongst people who get what that means. I can’t wait until next time! I’ve attended most of the monthly Salon meetings since then, and read aloud from our book on three occasions: June, July, and September. This fit perfectly with my twin values of Connection and Challenge. I remember especially one lady who approached me in person after my first live reading, to share how much my words had meant to her. I’d like to take this opportunity to commemorate local poet Mark Potts, a Salon regular who died recently. I didn’t get to know Mark well at all, but he was someone whose performances I enjoyed, and who spoke to me—a newcomer to the literary scene—with warmth, and welcome in his eyes. He will be deeply missed by those who knew and loved him. This year I have travelled both physically here in the UK—holidaying with my wife Pam in Brough (twice) and in Bowness—and virtually, accompanying Fran on trips in the US including New York City and Samoset. When Pam and I stayed at Brough in April, Fran and I were eagerly awaiting confirmation of a publishing contract offer. I was floating that whole week. After three and a half years, we had found a home for our book. There would still be a great deal of work to be done, both before and after publication, but—we’d done it! On the final day of the holiday, news broke that the publisher had gone out of business. It was a huge disappointment, but something of a lucky escape. Had we been accepted six months earlier, it might have been hard to extricate ourselves from the mess. As it was, we had the satisfaction of knowing our book had been deemed worthy of publication. It did mean having to continue the search for a publisher or literary agent. Our Facebook cover reveal event ran for ten hours straight. The official High Tide, Low Tide launch party was on October 1, which is also Fran’s birthday. We were delighted that so many of our friends were able to attend these events, both virtually and in person. Later that month, I was proud to appear as a panellist in Maine Behavioral Healthcare’s annual It Takes a Community forum discussing social media and mental health. In November, Fran and I hosted a book party and fundraiser for Maine-based mental health nonprofit Family Hope at Blue. At the close of the year, our book is “out there.” It is available for sale online at Amazon (Amazon UK) and Barnes & Noble, and in one highstreet bookshop: Longfellow Books in Portland, Maine. It is also available to borrow from the City Library here in Newcastle. Fran and I have been blown away by the support and encouragement we’ve received, not just since our book was released but throughout the four years it took us to bring our dream to fruition. There are too many to thank individually, but we have recognised as many of you as possible in the Acknowledgements, which you can read using Amazon’s Look Inside feature. We’ve been interviewed a number of times throughout the year. I’d like to give special thanks to Aimee Wilson, Steven Hesse, Diane Atwood, and Rebecca and Joe Lombardo for making us feel so welcome. 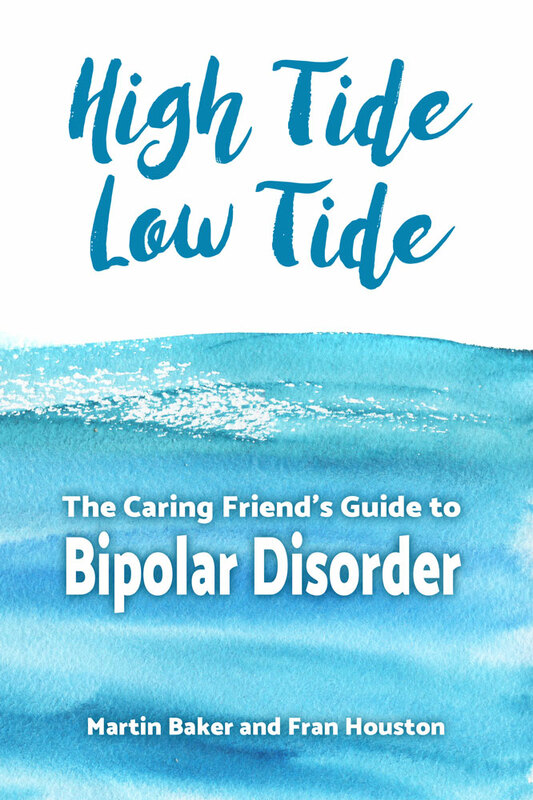 1) Launch party for our book HIGH TIDE LOW TIDE! Aimee replied “Yay! Well 2 = more time with me!” which suits me just fine! Aimee, you are a great ambassador for Time to Change and a personal inspiration to me. I look forward to working with you in the year to come. Book marketing will be a huge part of 2017. I’ve learned a lot, especially from book marketing guru Rachel Thompson, but there is a lot more to learn and a lot of work putting it into practice. Rachel’s new book BadRedhead Media 30-Day Book Marketing Challenge is a must-read and is on my Kindle already. A related challenge is to blog more regularly than I have done to date. 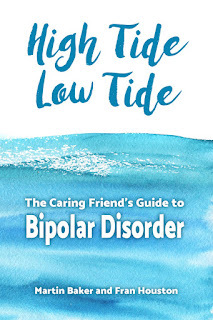 Fran and I are particularly keen to connect with trainers, tutors, and organisations interested in adding High Tide, Low Tide to reading and resource lists. If you are able to help in any way, please get in touch!